Have you ever wanted to know what was on the other side of a brick wall? Did you want to know so bad that you slammed face-first into that wall until either your face or the wall gave way? Did you love every second of it, knowing that it didn’t matter if your eyeball just popped out, because that crack in the wall means you’re making progress? Welcome to “Bloodborne,” the new action RPG from developer FromSoftware, infamous for their “Souls” series of games. 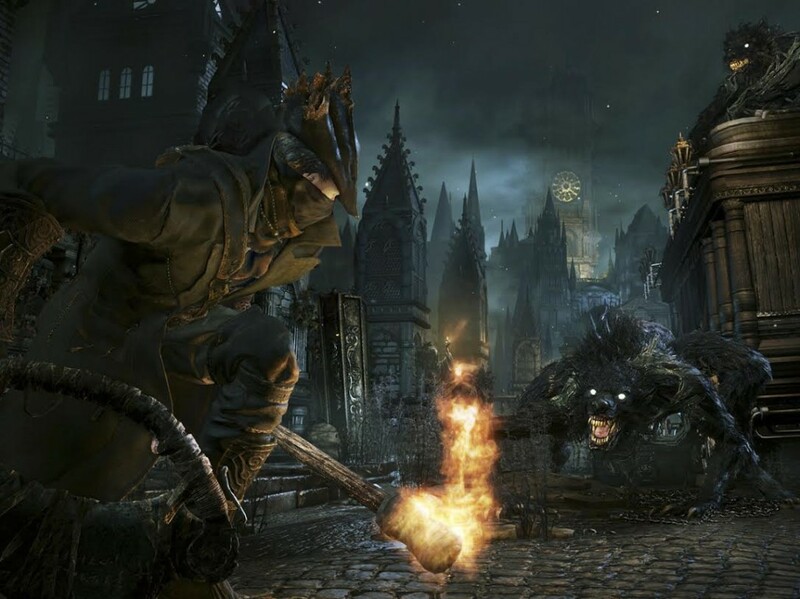 “Bloodborne” tells the story a city called Yarnham, driven into despair and decay after a curse takes hold, turning everybody around into insane hunters of beasts and outsiders, or else monstrous creatures obsessed with bloodshed, hunting everything they come across. You stumble into the city, looking for the healing church that once existed in the city, becoming a beast hunter yourself, and trying to uncover the truth about Yarnham’s bloody past. For what it is worth, this is the most story-driven game that FromSoft has created in their “Souls” series (for which this is a spiritual successor). The plot is given to you in short cutscenes here and there, featuring your character walking into one desperate battle for survival or another. However, it is at this point that the game reflects the older entries in the series and leaves the rest of the story open to the player to discover themselves. Finding out the fine details of the story is usually boiled down to reading item descriptions from the objects you pick off the dead bodies and decrepit shelves around you. Consequently, the majority of the lore in the game is entirely missable, and requires a level of engagement that most games would not, lest you be left scratching your brain at the baffling events of the game. The game’s graphics are definitely products of this newest generation, and take every advantage of the Playstation 4’s ability to render wet cobblestones and grotesque shambling monstrosities. It is unfortunate, however, that for all the grimy beauty that the game features, it must suffer for these renders in the form of slowdown and frame rate drops. In the midst of combat with multiple combatants, or with an enemy that has many elaborate decorations, the game will often slow down, losing the pacing that battles in “Bloodborne” will become famous for. Like the games in the “Souls” series, this game is not for the casual player, and requires a level of patience and understanding beyond what most people would want to put into actual human relationships. If you can work hard enough on the game, though, it will love you and hurt you better than any person ever could. Appearing so similar to “Souls” games at first, it is the gameplay of “Bloodborne” that truly sets it apart. Instead of favoring the intimate sword-and-shield encounters that the previous entries in the series featured, “Bloodborne” has a system of melee attacks and gun-counters, all made possible by the pseudo-Victorian setting. 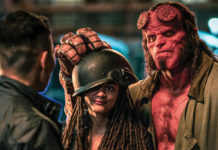 Instead of playing passively defensive characters, players are encouraged to dash around their enemies and combo attacks with their transforming “trick weapons,” before dashing away from a devastating counter hit. This style of play feels so satisfying when you can get into the flow of combat that you might find yourself never wanting to return to the old ways of blocking until an opening finally appears in the opponent. 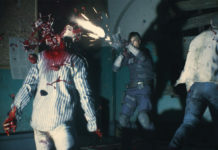 The game acknowledges this same newfound action-oriented gameplay too, as players can find a mostly useless shield on a dead body. “Bloodborne” is one of the most frustrating and satisfying games in the current generation, and has already become a contender for the 2015 game of the year. If players are able to look past the punishing difficulty and few hang-ups concerning loads and frame rate, then this is easily worth the full price, providing what is undoubtedly the most atmospheric game of the current generation.